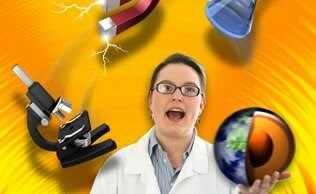 Mad Science of Dallas & Fort Worth Reviews - After School Programs, Summer Camps, Birthday Parties, Events, Science Shows and Workshops for kids ages 5 to 12. Thanks for thinking of us! I am forwarding your email to our new Science Coordinator for fifth grade, Mrs. M. Thanks so much for always making Science into Magic for us! Thank you very much for the great birthday party! All of the kids had a great time. I do have to say that the flash paper was the coolest of all. I have to get some of that. Thank you for entertaining the kids and the adults. We will recommend you to other parents! Mad Science is a terrific program for today’s students. Our students have enjoyed the hands on and challenging experiences that foster creative and higher level thinking and problem solving. Our school has appreciated the attention to detail as they use our facilities. Thanks to all at Mad Science!!! Hello! We just had a Mad Science birthday party this past weekend, January 22nd, and just wanted to say thank you! Our mad scientist was Dr. Pepper, and she was awesome. Really, she was amazing. She kept 18 kids, ranging in age from 2 to 7, completely interested and excited for an hour! She was so wonderful with them and they loved every second of it. The adults watching were pretty impressed too. So nice to see kids really having fun and learning too! I will definitely recommend Mad Science to anyone and everyone, especially Dr Pepper! Thanks so much again! Thank you for an awesome semester! Both of my boys enjoyed Mad Science tremendously! I need to mention here that you guys are doing a wonderful job! 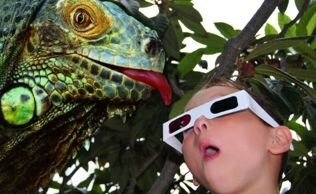 My son looks forward to Thursdays coz it is the "Mad science Day" !!!! I just wanted to let you know that I will be giving another mad scientist my lab coat and t-shirts this Friday at FBA so that he can return them for me. I hope you guys have a wonderful spring semester and I am sorry I can't be a part of it. This experience has been really awesome though and has taught me so many unique ways to teach children science which I know will be valuable to me as I head into teaching.